I moved to Burnaby. And now will move to Sunshine Coast because of my new job with BC Ferries. hoppyjr wrote: ^ Captain Serdal! Hello Brother. How are things? 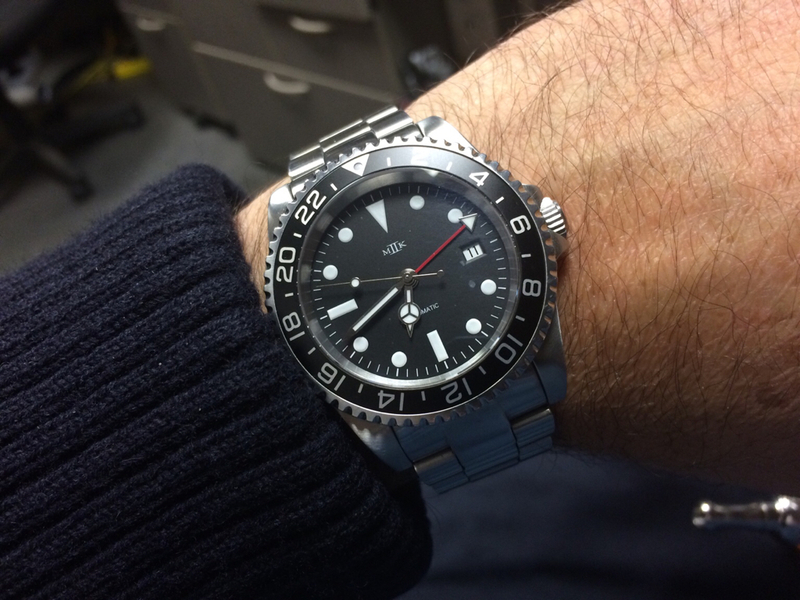 My lifetime keeper, MKII LRRP GMT 48. Airport foto. Waiting for my connecting flight to Istanbul in Toronto. Congrts Comrade. DWC is the best! I am still enjoying this gorgeous piece. The accuracy had been -/+ 0 so far for the last 17.5 hours. Welcome to the forum Nik. Enjoy your stay. I like it. The size is alright in my opinion. Very good review as always. Thank you. What kind of punishment do you think you will face if you update / mark some of your sales posts as sold? Please let me know your thoughts first, then I will take you to a world tour, an interesting world . . . . .